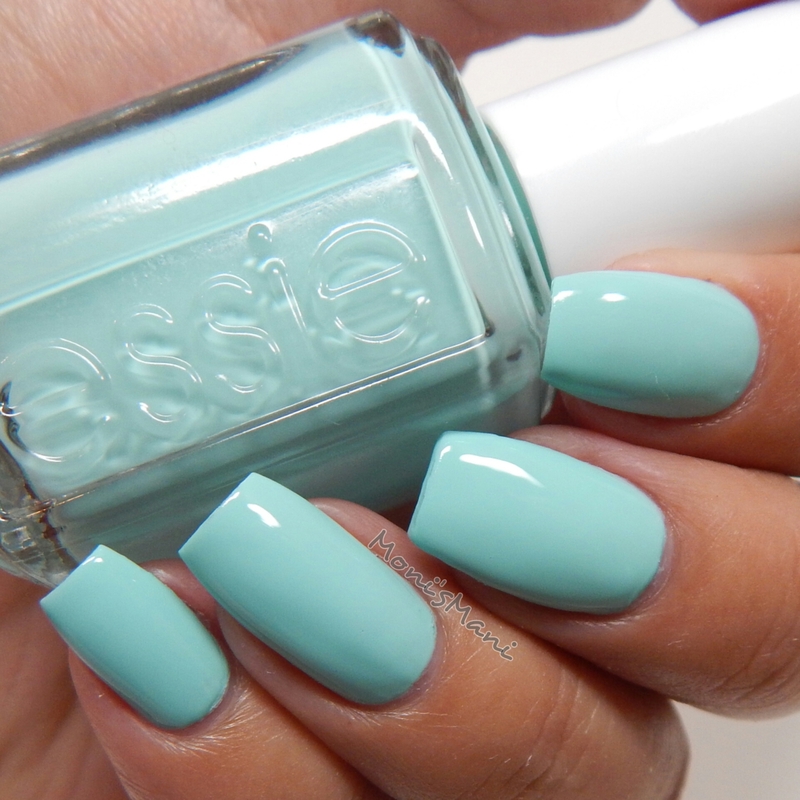 I just realized I posted my Essie Spring Colors on my social media but never blogged them!! I’m sure most of you have already seen swatches of these, but I loved them so much I had to write about them even if it is a bit late. First of all let me tell you that Essie was the first salon brand I used and one of the kickstarters to my addiction, but sadly I realized that they were very hit or miss so I pretty much stopped buying them until recently. I saw my bottle of Play Date, put it on and fell in love again so when I saw that they had come out with a new collection with decent formula polishes I went for it!! There are six polishes in this collection but the two nudes weren’t calling me so I just purchased four, let’s take a look at them. 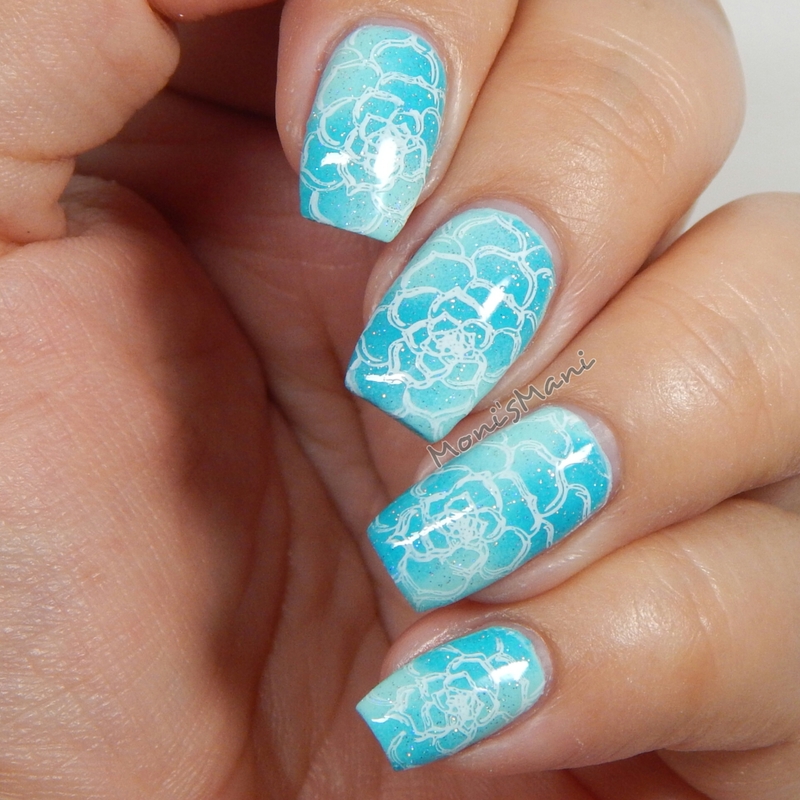 Accent is ella+mila “pure love” stamped with image from UberChic plate 1-03 and stamped with flowerista. 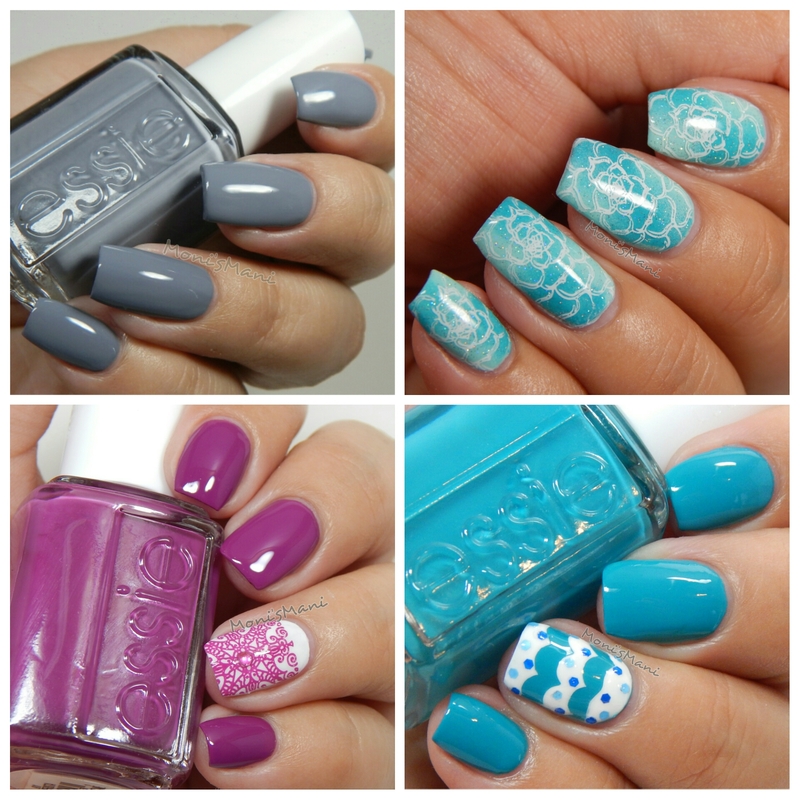 So these are the four polishes I purchased, I REALLY love all four. The formulas are very good, Essie definitely won me back with these guys. My favorite out of the out has to be “flowerista”. I absolutely LOVE it! 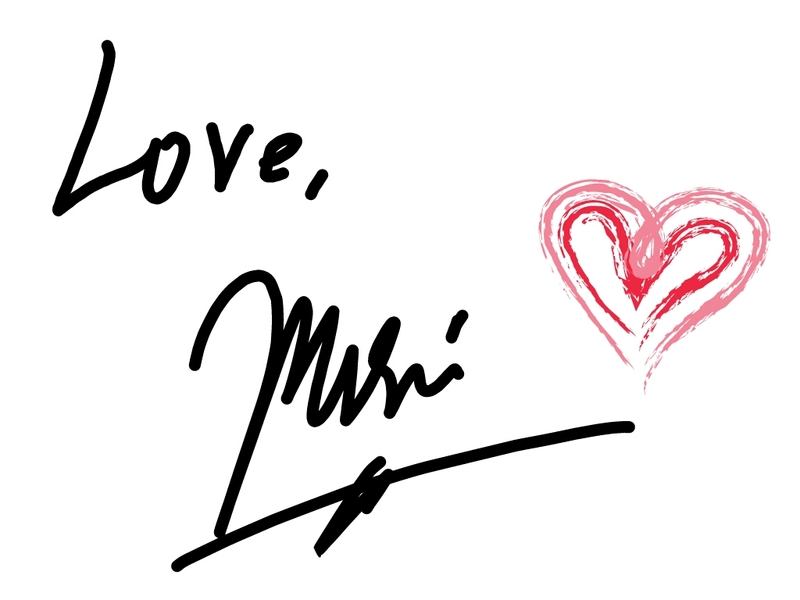 Thank you so much for reading and please let me know which is your favorite!! Blossom Dandy is super cute, but I LOVE your nail art!!!! Beautiful!! 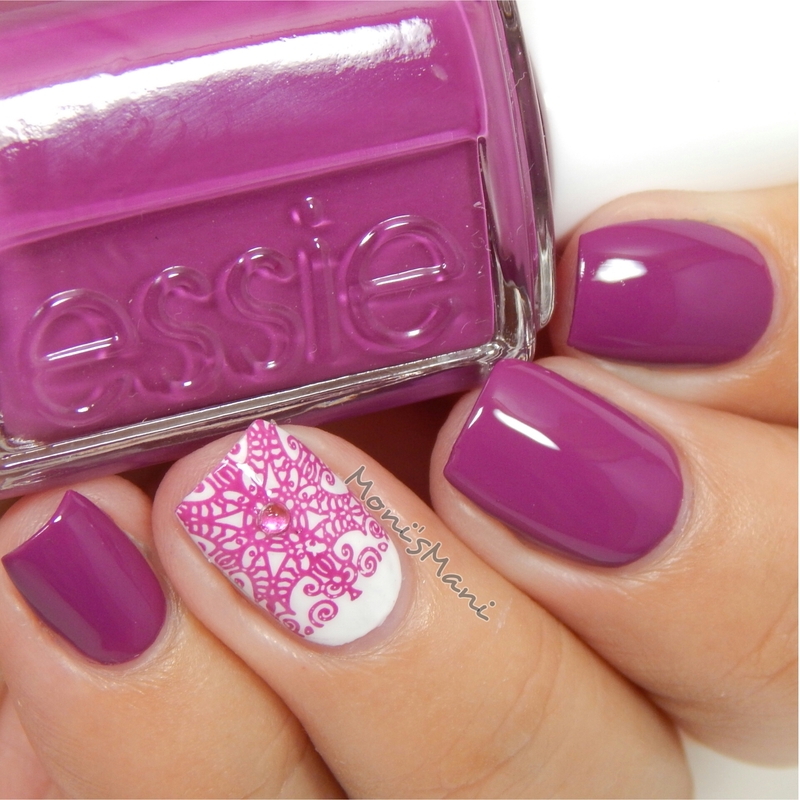 Essie always does pinks right! I love your sponge garden variety mani ! So fresh ! These are so pretty! I love Blossom Dandy.